The Ford Escape is a better way to get away from it all in Indianapolis, IN. 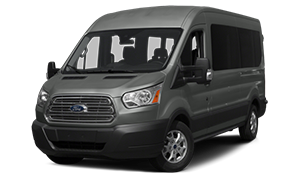 It is roomy, versatile, and packed with something for everyone to love. Let Ray Skillman Ford show you the Escape today. If you have been waiting for a reason to make your escape, there is no better time. The Ford Escape has the room you need to bring everything you want along for the ride and versatility that you expect from an SUV. 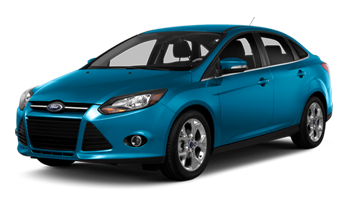 It is stylish and packed with features that will make your drive more enjoyable too. 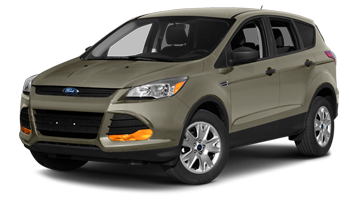 Stop by Ray Skillman Ford and take a test drive in the Escape. If you wanted to go for a joyride, you would buy a sedan, but you need more capability out of your ride. You need to be able to haul, tow, and pack cargo inside with room left over for passengers so you can get more out of your weekend. The Ford Escape is one of the most capable SUVs on the road today. 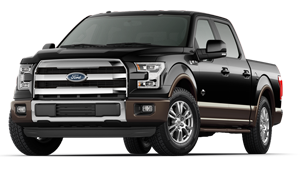 It has the ability to tow up to 3,500 pounds thanks to the 2.0-liter EcoBoost Class II Trailer Tow Package paired with the 6-speed automatic transmission with SelectShift that gives you everything you need to tow with confidence. Go ahead, take the boat out and play all weekend or bring a small trailer full of toys for a weekend of play. You can do it all with the Escape. When you need to bring more along for the ride, the Escape’s rear seats fold flat for even more cargo room that’s easy to load thanks to the hands-free foot-activated lift gate. Come see how capable the Escape is at Ray Skillman Ford. Whether you are hitting the road for a solo mission or you are taking the entire crew out for a ride, you want to know that you will arrive at your destination safely. The Ford Escape gives you a better way to travel with accident avoidance technologies that give you the confidence you need to get there safe. Imagine if you will, you glance at the back seat to hand your little one a dropped binky. You are distracted and the car in front of you slows. What do you do? If you have the Escape, the Forward Collision Warning with Brake Support can help you stop so you don’t hit the car in front of you. There is also the Blind Spot Information System with Cross-Traffic Alert that monitors your surroundings and alerts you when there is something in your path so you know when to make your move with confidence. These are just a few features available on the Escape. 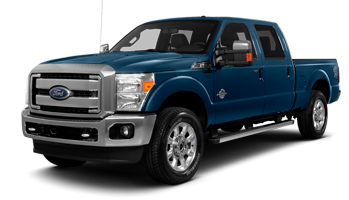 For more information, come see us at Ray Skillman Ford today. Does busy describe you? It’s probably an understatement. When you drive, do you want an SUV that has your back? 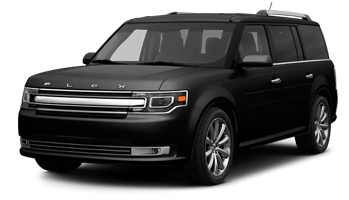 Do you want a vehicle that can help you accomplish what you need to get done as you run errands and entertain you too? If you said yes, then the Ford Escape is the SUV for you. It is filled with smart technology that makes getting your tasks done easier than ever before. Android Auto and Apple CarPlay let you map out directions to your destination to pick up cookies for the kid’s classroom party, call home to see if you need to pick up milk at the store, text dad to let him know he will need to pick up the kids from soccer practice on his way home and stream your favorite music to set the mood while you tackle the day. Our technology specialists are standing by at Ray Skillman Ford to show you how these features can help make life a little easier. 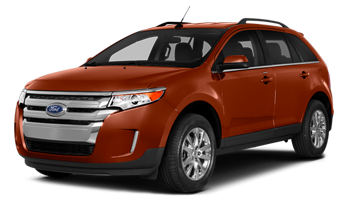 Ray Skillman Ford has a HUGE selection of Ford Escape SUVs for you to choose from. When we say huge, we aren’t exaggerating. We have over 130 Escapes for you to choose from in a variety of models, colors, and options so you won’t have to go anywhere else to find the one that is right for you and won’t break the bank. If you aren’t sure which one is right for your needs, talk to one of our product specialists and they can help you to narrow down which Escape is best for you based on features or price. We will work hard to exceed your expectations and make sure you have a positive car buying experience when you visit our store. Come by and see us today to get started. Seriously, you know you’re excited to put the new Escape in your driveway. Find yours now. There’s nothing quite like owning an Escape, that’s why it’s easy to maintain a strong selection of pre-owned models to choose from. 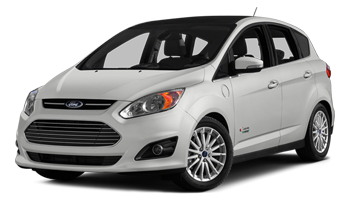 The Ray Skillman discount is always above and beyond what Ford offers on new vehicles. Buying a vehicle is a special experience. We understand that this isn’t something our customers do every day, which is why we treat every interaction with the respect that it deserves. Ray Skillman has served the Indianapolis market for decades because we believe that the community and its people supersede any expectations set by a corporation. This is your community. This is our community. When you are shopping for a new or used Ford Escape, you expect the experience to match the promise, which is why we are open and transparent every step of the way. Below, you will find more information about the Escape. We hope that you’ll contact us and allow us the opportunity to show you why buying from Ray Skillman Ford truly is the best shopping decision you can make. There’s more to a vehicle demonstration than picking out colors and taking a test drive. At Ray Skillman Ford, we want you to know everything that’s important to YOU for your next new vehicle. 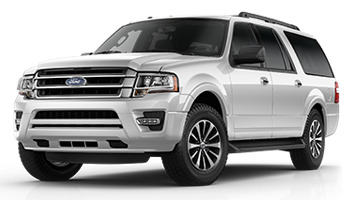 The Escape is uniquely positioned in the Indianapolis market because of our love of high-performance, super-tough machines. 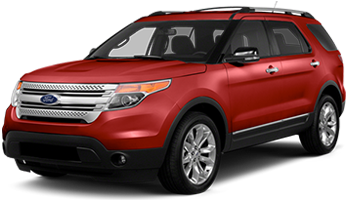 The Escape has the proper mixture of strong performance and do-it-all toughness that’s appealing to Indianapolis. Our team is here to make sure you’re aware of every feature, tip, and maintenance best practice because we take pride in delivering the ultimate shopping experience for our customers. Watch this video and get your engine revving for the new Ford Escape pickup. Attention to detail is important. You won’t miss a thing when you shop at Ray Skillman Ford. 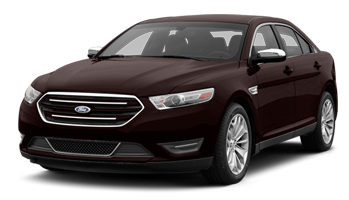 We know you have many options when it comes to Ford dealers in the Indianapolis area. Our hope is that you will give us the first opportunity to earn your business because of the tremendous experience, great pricing, superb Escape selection, and our commitment to making your buying experience the most positive one you’ve ever had when shopping for a vehicle. We stand behind the ideal of delivering the type of respectful engagement that the people of Indianapolis deserve and if you give us the first opportunity, you’ll see why our customers come back time and time again. Some dealerships take pride in their sales numbers. Others point to their P&L statements to determine their success. At Ray Skillman Ford, the most important indicator of whether or not we’re successfully achieving our goals is when you are overwhelmed by our outstanding customer experience. It goes beyond satisfaction. We want you to be ecstatic with the way you were treated and impressed with how easy it was to get the best Ford Escape deal in Indiana. Your opinion is the one that matters at Ray Skillman Ford. It’s what drives our success. Great buying experience. No pressure sales team that provided all I needed to make my decision. Couldn’t be happier with my experience buying from Skillman Ford and Johnny’s team!!! Great service and prices !! My husband and I was looking for a used vehicle with a affordable payment. Peter the mgr and Manny who is in sales and financing helped and gave us a very affordable pymt just like we wanted. Very nice and will go back to Ray Skillman to their location because of the great service. Plus we was already pre approved and for the signing of the vehicle was fast and not at the dealership forever. Thanks for the fast and great service! We hope we’ve answered most of your questions about why you should consider Ray Skillman Ford as your first choice when shopping for a new or pre-owned Ford Escape. If you are ready to learn more, please contact us through your preferred method of communication and ask us anything you’d like to know. If you’re ready to schedule your test drive, please use the form below. At Ray Skillman Ford, you control your shopping experience. We’re here to help facilitate and to be your personal Escape experts.